Democrats blame the GOP for their failure to pass health care. But what if obstruction is doing "the people's business?" 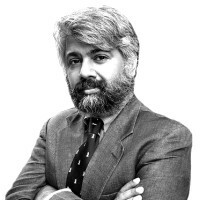 Tunku Varadarajan on the benefits of partisanship. The indignant call for "bipartisanship" today is from people who want to pass health-care legislation over the equally indignant objections of many, many, many Americans. (I'm avoiding the phrase "most Americans" so as not to appear contentious.) Yet in truth, this partisan obstruction has done the "people's business" more elegantly than bipartisanship would, if we take public opinion as a fair measure of what people really want. Of course, everyone will agree that a degree of partisanship that creates paralysis in the face of pressing national need (such as a just war) or a morally unanswerable reform (such as the abolition of "don't ask, don't tell" in the military) is a bad thing. We need to go beyond such partisanship. But the current Democratic call to transcend partisanship—and its attack on the Republicans as too partisan—is merely another form of the condition, in which an ostensible critique of partisanship is but a manifestation of partisanship itself: Democrats are trying to pin their inability to pass unpopular legislation on the Republicans, instead of on their own extraordinary misreading of the current political tea leaves. Partisanship has the benefit of forcing the sides to differentiate themselves and come up with ideas that separate them from the other side. It's a living, dynamic force that keeps inventing new political ideas. There is a broader question: What is wrong with partisanship in a democracy where information is freely available? We have here a situation where the party in power is having trouble enacting legislation because the party in opposition is doing its utmost to frustrate the process. The party in power says that this is unconscionable. Since when, however, does a party have the right to facile lawmaking? After all, the entire structure of American constitutionalism works on the assumption that the greater risk lies in too many laws, not too few. That is why we do have two houses, and presidential vetoes, with a two-thirds override. Partisanship is all about finding policy flaws in politicians, rather like finding character flaws. That's why it seems so ad hominem, something that brings politicians down to our level: They are mere mortals, like us, as flawed and perfectible as we are. In other lands, they develop ineffable mystique, but not here. In terms of ideas, partisanship has the benefit of forcing the sides to differentiate themselves and come up with ideas that separate them from the other side. It's a living, dynamic force that keeps inventing new political ideas. Exposure to partisan criticism helps a politician to refine a policy and to beware of policies which have no support. A good blast of partisan ridicule acts like a pumice stone. It knocks away the dead skin and leaves the body-politic cleaner. Let us look elsewhere for inspiration: In Britain, the winning team can do what it likes…until it can't. And yet, all the while, the purpose of the British opposition is to oppose. That is one reason why the British Parliament is less prone than our Congress to pass legislation that simply hasn't been checked well for gross oversights and impracticalities. In contrast, in the U.S., bad, unexamined ideas sail through wearing the burqa of bipartisanship. Remember Sarbanes-Oxley? McCain-Feingold? But it is not altogether an accident that Democratic partisanship should assume the form of a critique of partisanship. The Democrats and progressives hate partisanship for the same reason they hate the market: Both are built on the idea of a permanent state of competition that produces the public good only indirectly and through what's called "the invisible hand." Progressives hate the messiness of this, preferring the direct application of reason by the intelligent elite. The root problem, in the case of health care, is the Democratic inclination to treat the Republican Party as a "faction," which Madison defined in The Federalist No. 10 as "a number of citizens…who are united and actuated by some common impulse of passion, or of interest, adverse to the rights of other citizens, or to the permanent and aggregate interests of the community." As Harvey Mansfield argued in the Weekly Standard recently, this Democratic attempt to put entitlement issues beyond political recall is an affront to political liberty. And no partisan should have to put up with that.